At my parents' house, we make extra rice when we know that spicy budoo is included on the menu. Everyone stuffs themselves silly. 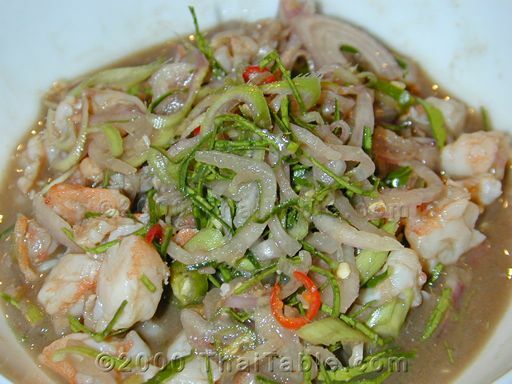 Spicy Budoo is made from budoo sauce, a traditional food people in southern Thailand are proud of. 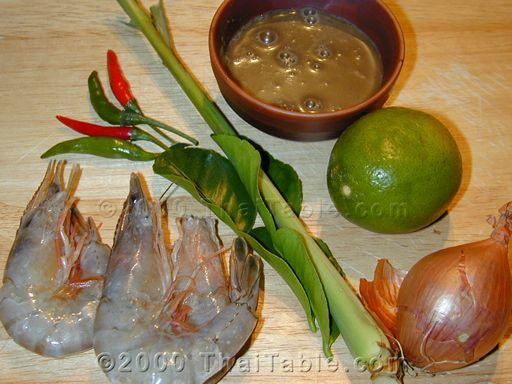 The sauce is eaten with vegetables from the South such as stinky beans, fern shoots (similar to fiddleheads) and other vegetables available throughout Thailand. The fun is in experiencing the combinations of flavors and textures of different vegetables with the sauce and rice. You will find that you can tailor the sauce to your own preferences. You might want to add more lime juice or more shallot. My mother would add more lemon grass than what I listed here. Peel and devein shrimp. Cut the shrimp up into small pieces. Heat budoo sauce over a medium heat. Let it boil and add shrimp. 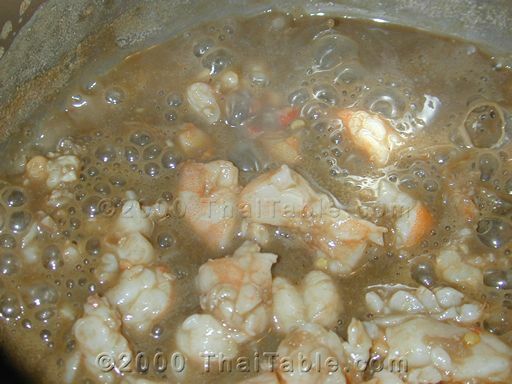 Remove from heat when shrimp is cooked. It shouldn't take more than a few minutes. 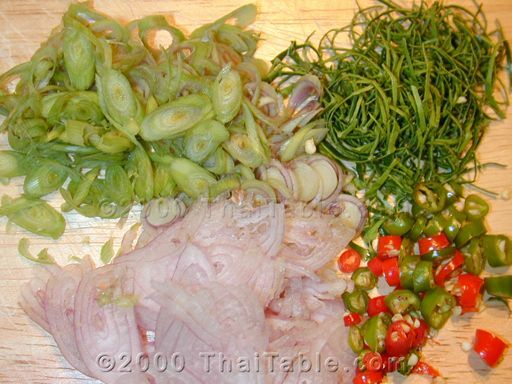 Slice shallot, lemon grasses, kaffir lime leaves and chili peppers thinly. I use two stalks of lemon grass for small stalk and one for a large one. Squeeze the lime juice in the pot. Add the sliced ingredients to the pot or serving bowl. Mix well. 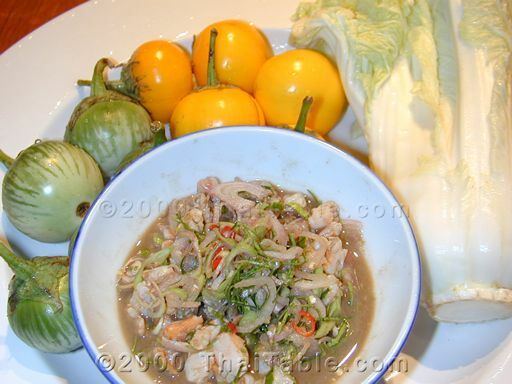 Serve with rice and vegetables such as Thai eggplants, stinky beans, cucumbers, green beans and any leafy vegetables. How to eat: Pile your spoon with rice, whichever veggies you want for the bite, and top with the sauce. My favorite vegetable for nam budoo is Vietnamese mint. And I like to add a little bit of the mint to every bite.